Our organization is completely dedicated to the quality policy to fulfill the varied requirements of our clients in the best possible manner. To ensure our clients of high quality standards, we have set up a well advanced testing unit. This unit is controlled by our team of quality controllers who conduct stringent tests on the products in every stage of production. Within this policy, we are committed to offer flawless range of products under the disciplines and control of Quality Management System in compliance to the international standards. Under this policy, we regularly review and improve our products to ensure that the entire production processes are carried out in the most effective and timely manner. Further, we also ensure that our professionals properly understands the policies of the company and accordingly perform their duties effectively. 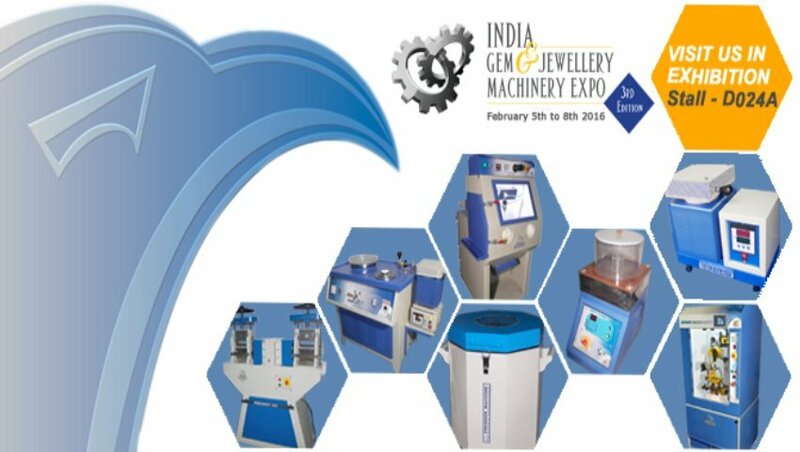 Being a client centric organization, we constantly strive in offering our clients with premium quality of Jewellery Machinery and Jewellery Tools. We consider that utmost client satisfaction is the main reason for our organization's growth and success. Owing to our professional approach and advanced infrastructure facilities, we have been able acquire large number of clients across the globe. Further, competitive prices and after sales services offered by us has also enabled us to get more and more orders from our existing clients. We always welcome our clients to give their feedback so as to bring improvements in our product range. All the reasons mentioned above has helped us in building an existing client base across the globe.